USB / Battery Operated Snail Fan Only $8.99 Down From $24.99! Ships FREE! You are here: Home / Great Deals / USB / Battery Operated Snail Fan Only $8.99 Down From $24.99! Ships FREE! GearXS has this USB / Battery Operated Snail Fan on sale for $8.99 (Reg. $24.99) + FREE shipping! 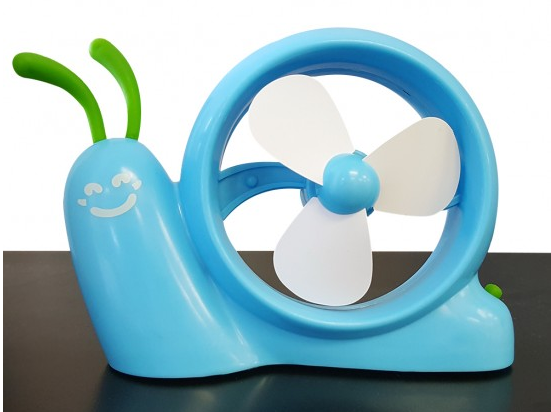 Great for kids, this cute 2.5 Watt Battery Operated Snail USB Fan has soft and safe blades and takes the fun shape of a happy snail. The propellers are powered by 3 AA batteries when cordless, or can be plugged into a USB port for continuous power. Perfect as a desktop companion, this fan will keep you cool during those hot days.